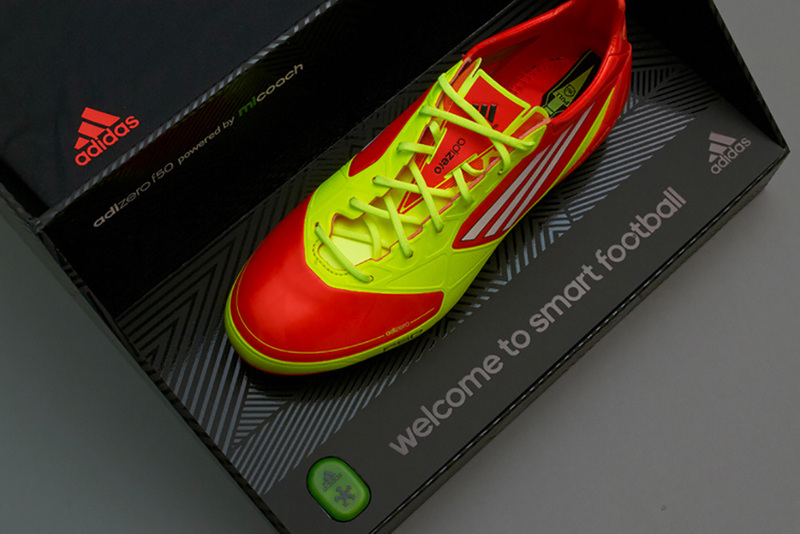 The groundbreaking Adidas Intelligence football boot is fitted with a device that tracks various aspects of the wearers performance during play. 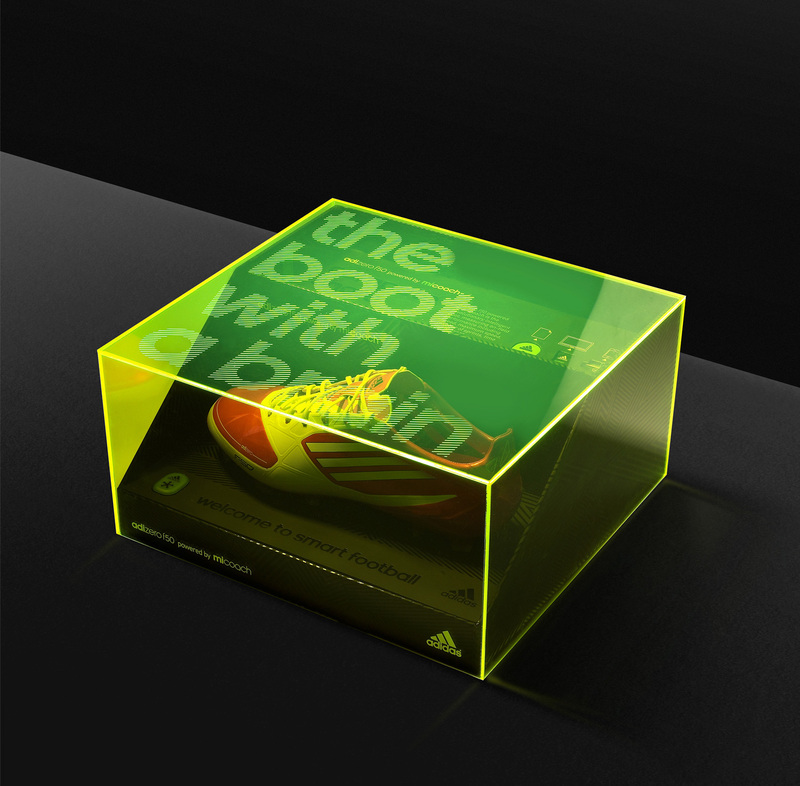 The launch concept for this innovative product was developed by Everyone Associates who we worked alongside to create a limited number of visually engaging display cases that presented the boot to 75 of the top influencers and athletes of the sport. 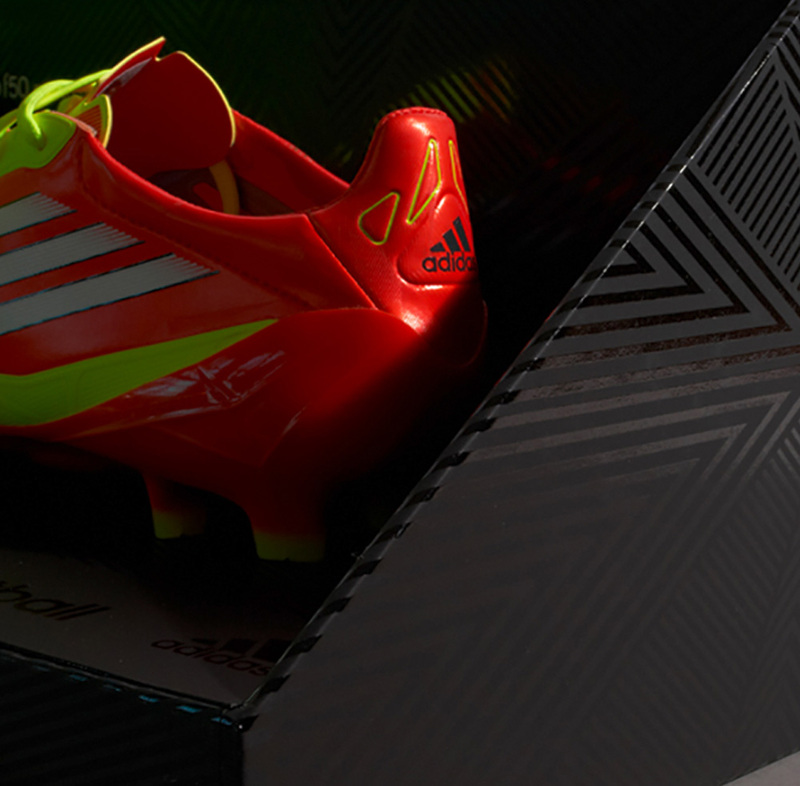 The lid was manufactured from glow-edge perspex which was screen printed opaque white on the outer face. 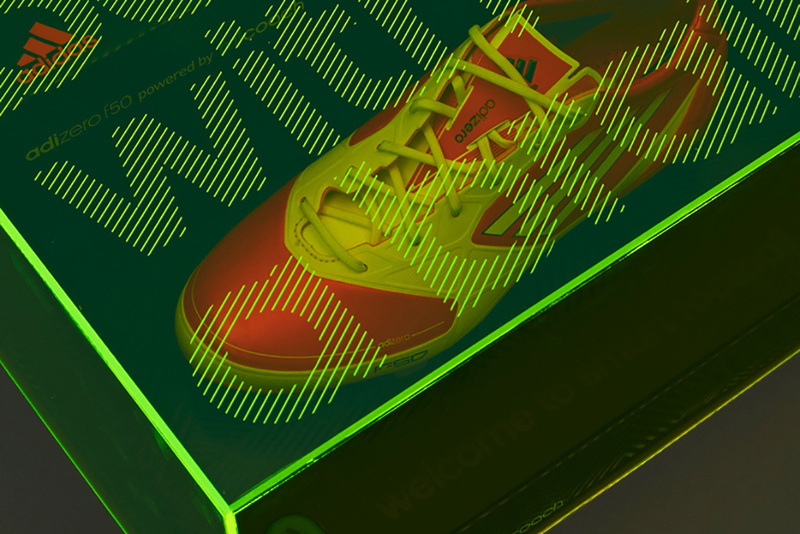 The shoe was fixed inside on a boxboard base which incorporated foil blocked and embossed details to embellish key messages about the product. Our factory in the UK manufactured 100 units which were delivered to various locations across Europe.